1. Maxine Bauzon, Penelope M. Drake, et al. 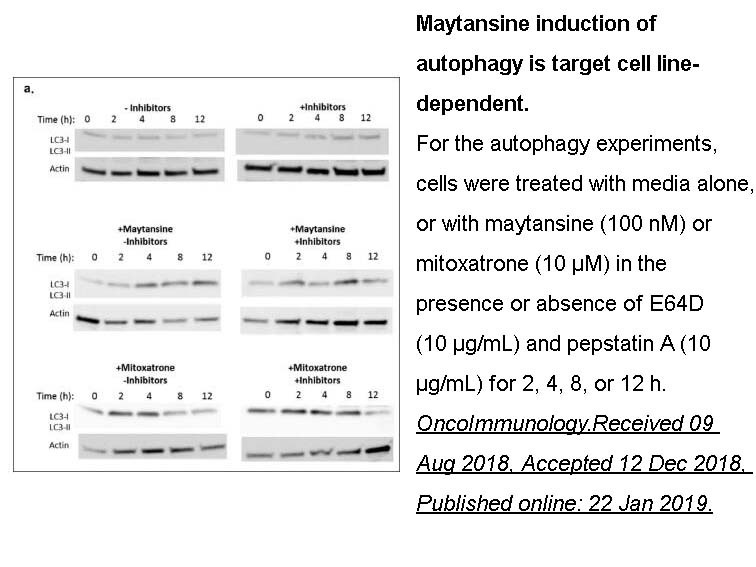 "Maytansine-bearing antibody-drug conjugates induce in vitro hallmarks of immunogenic cell death selectively in antigen-positive target cells." OncoImmunology.Received 09 Aug 2018, Accepted 12 Dec 2018, Published online: 22 Jan 2019. McGowan E B, Becker E, Detwiler T C. Inhibition of calpain in intact platelets by the thiol protease inhibitor E-64d. Biochemical and biophysical research communications, 1989, 158(2): 432-435. Ni H, Ren S, Zhang L, et al. Expression profiles of hippocampal regenerative sprouting-related genes and their regulation by E-64d in a developmental rat model of penicillin-induced recurrent epilepticus. Toxicology letters, 2013, 217(2): 162-169. 1. Expression profiles of hippocampal regenerative sprouting-related genes and their regulation by E-64d in a developmental rat model of penicillin-induced recurrent epilepticus. Toxicol Lett. 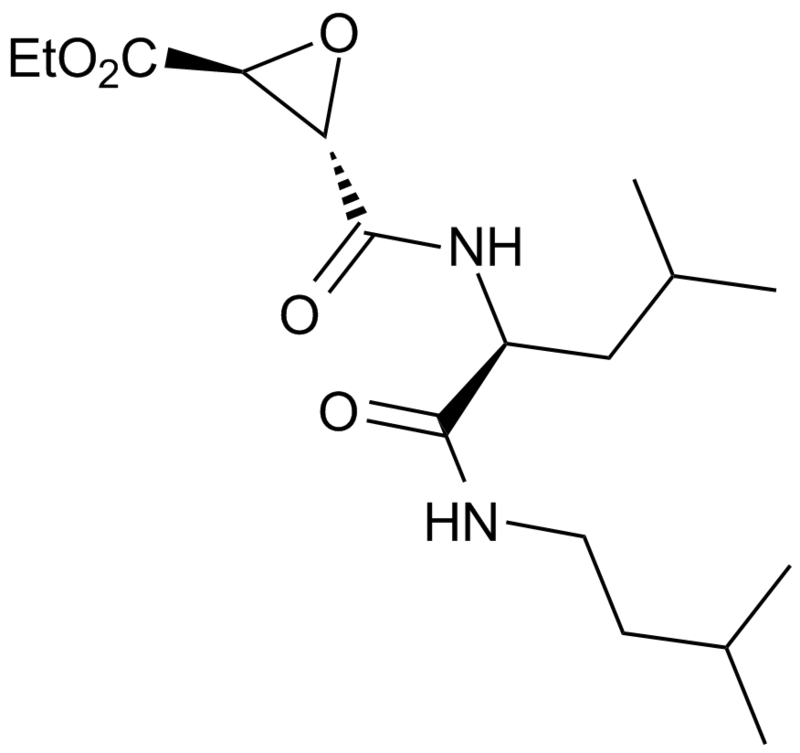 2013 Feb 27;217(2):162-9. doi: 10.1016/j.toxlet.2012.12.010. Epub 2012 Dec 21. E-64d inhibited hippocampal aberrant mossy fiber sprouting and seizure-induced up-regulation of ApoE and Clusterin in rats. A significant down-regulation of PRG-1, PRG-3, prg-5, cathepsin B amd ApoE and a up-regulation of nSMase and ANX7 were observed in hippocampus of E-64d-pretreated seizure rats. 2. Detecting autophagy in Arabidopsis roots by membrane-permeable cysteine protease inhibitor E-64d and endocytosis tracer FM4-64. Plant Signal Behav. 2011 Dec;6(12):1946-9. In order to detect autophage, E-64d, a membrane-permeable cysteine protease inhibitor, was applied in culture medium where root tips from Arabidopsis seedlings were incubated. 3. 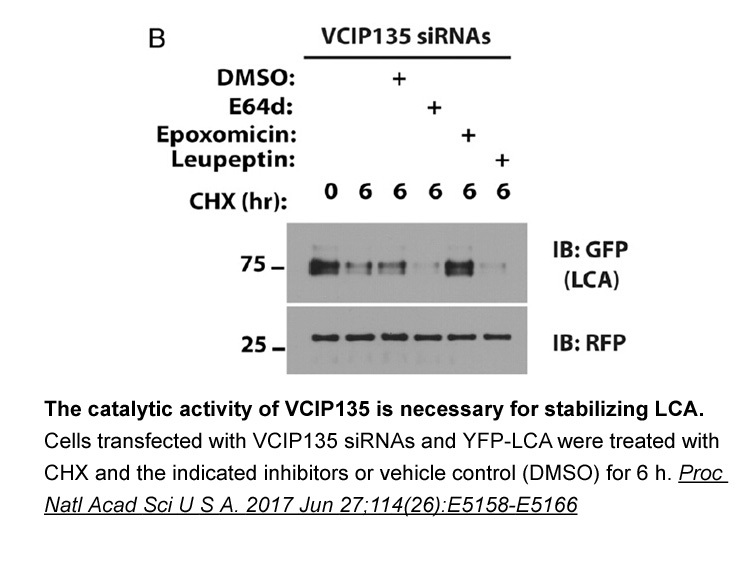 [Inhibition of calpain expression by E-64d in the rat retina subjected to ischemia/reperfusion injury]. Mol Biol (Mosk). 2008 Mar-Apr;42(2):258-64. 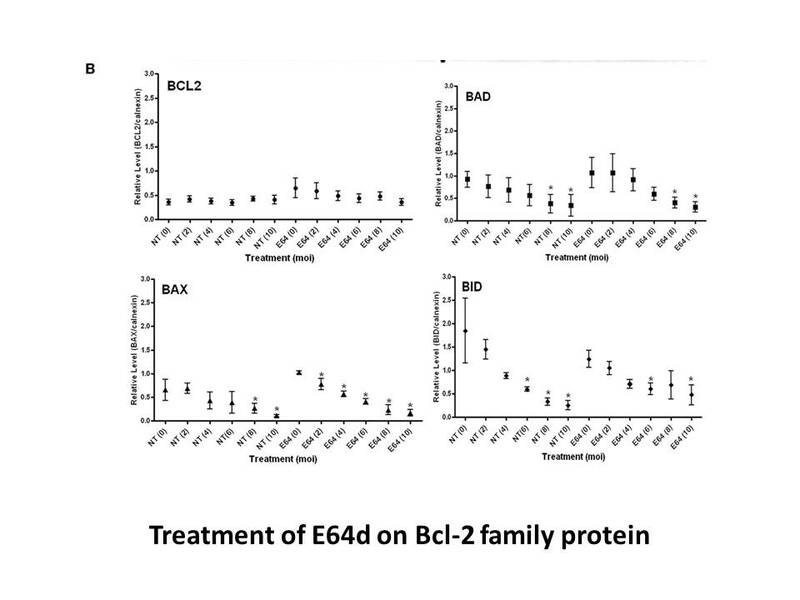 E-64d exhibits protective effects against IRI-induced retinal apoptosis, since it inhibited IRI-induced up-regulation of m-calpain expression, the crease of m-calpain/calpastatin ratio and IRI-induced retinal damage in rats. 4. 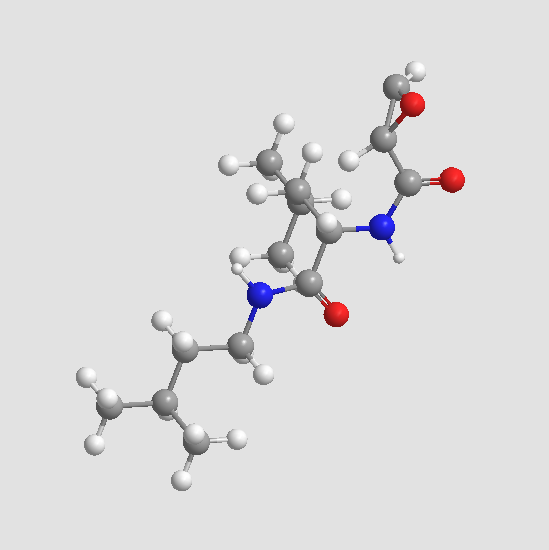 Inhibition of calpain in intact platelets by the thiol protease inhibitor E-64d. Biochem Biophys Res Commun. 1989 Jan 31;158(2):432-5. 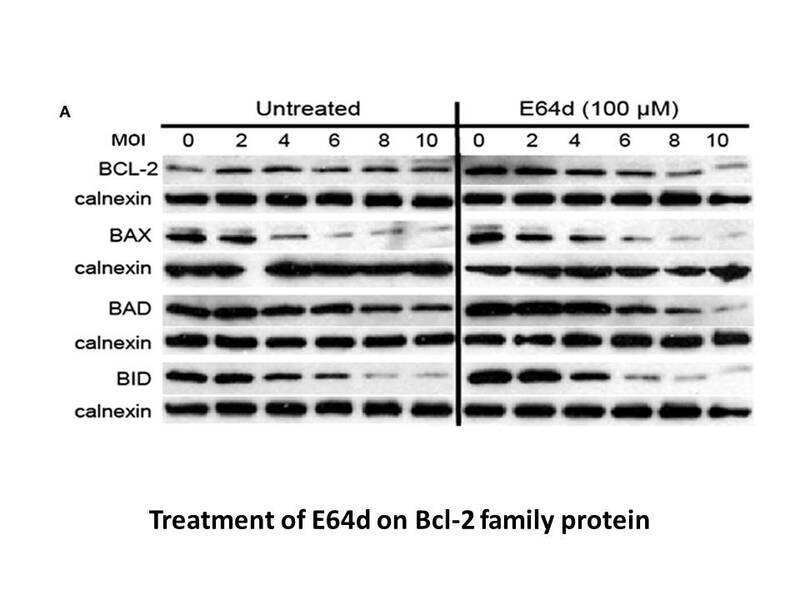 E-64d is a membrane permeant inhibitor of calpain that enters intact cells and inhibits proteolysis once it’s incubated with platelets before lysis. 5. 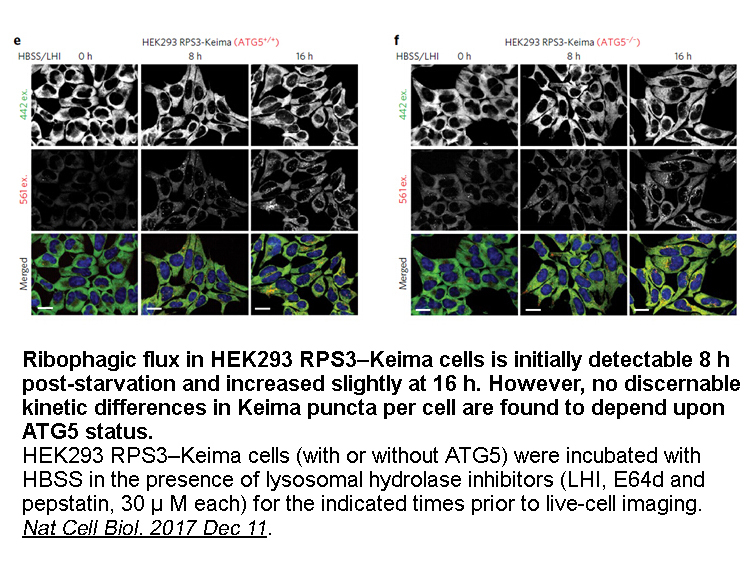 CB-64D and CB-184: ligands with high sigma 2 receptor affinity and subtype selectivity. Eur J Pharmacol. 1995 May 24;278(3):257-60. CD-64L, CB-64D, CB-182 and CB-184 exhibited sigma 1 and sigma 2 Ki of 10.5 and 154 nM, 3063 and 16.5 nM, 27.3 and35.5 nM and 7436 and 13.4 nM respectively, where CB-64D and CB-184 displayed high sigma 2 receptor affinity and subtype selectivity. 1. M. Tamai, K. Matsumoto, S. Omura, I. Koyama, Y. Ozawa, K. Hanada J. Pharmacobio-Dyn., 9 (1986), pp. 672–677. 2. E. B. McGowan, E. Becker, and T. C. Detwiler, INHIBITION OF CALPAIN IN INTACT PLATELETS BY THE THIOL PROTEASE INHIBITOR E-64d. BIOCHEMICAL AND BIOPHYSICAL RESEARCH COMMUNICATIONS , Vol. 158, No. 2, 1989. 3. Carmen JC, Sinai AP. The Differential Effect of Toxoplasma Gondii Infection on the Stability of BCL2-Family Members Involves Multiple Activities. Front Microbiol. 2011 Jan 24; 2:1.